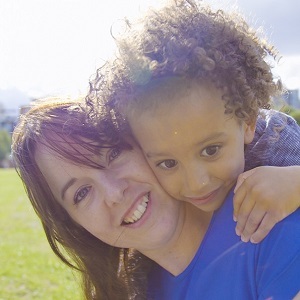 Laura, 37, from Greenwich, London has had two cornea transplants for an undiagnosed illness. Doctors considered four different eye conditions without concluding what was causing the problems Laura experienced. Laura had a cornea transplant in her right eye in 2005 and then when the same problem developed in her left eye she had a second transplant ten years later. “By the time I had my first transplant I couldn’t see out of my right eye." Hear more about Laura's cornea transplant story below. “I can walk through a crowded train station without bumping into people! Drive confidently at night, sit back in my chair not glued to within an inch of my screen at work!" "And now I can see my son’s lovely little face!"